AMG came with its first model for Mercedes Benz C Class in 1995 with a V6 engine and with passing time no doubts the contribution to automotive industry has been commendable. 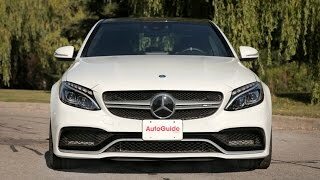 But now for the year 2015 with its all new Mercedes-Benz C63 AMG, company has some other plans. Bidding farewell to its V6 engine this time beneath hood is caged a massive V8 and outside are two variants. Scroll down to have a detailed sneak into both of them. For those who sat inside a C63, knows very well that the model already had sporty and luxurious interior but this doesn’t means with the AMG badge buyers get the same. Interior of Mercedes Benz C63 AMG 2015 is a lap ahead of its sibling. Dashboard gets a Crystal Grey stitched black, handcrafted leather covering complimenting the aluminum trim AMG exclusive analogue clock. Bespoke carbon-look dials house themselves behind the performance steering wheel placed in front of sports seats wrapped in ARTICO hand-made leather and Dinamica microfiber. 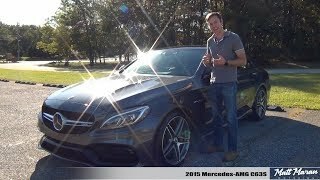 In all what we felt looking at the interior of Mercedes Benz C63 AMG is, that the sporty look and luxurious touch present in previous model has received an unmatched AMG touch, taking this new release little ahead in market. 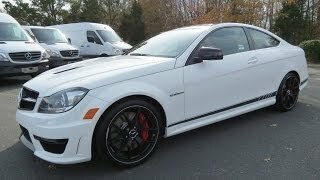 Exterior of Mercedes Benz C63 AMG 2015 might not be as aggressive as its predecessor but AMG parts so added make it look more muscular. We aren’t saying it’s a spoofy looking sedan, but muscular addition over luxury makes it really very attractive. Both the bumpers get an all new shape, with side skirts and grille pattern too worked out. Talking about the rear fascia of Mercedes Benz C63 AMG 2015 major change could be noticed in the rear diffuser, inspired by motorsport with three fins, quad exhaust tips being chrome plated and an integrated trunk lid spoiler. We agree changes can be counted on fingers but the changes make a large difference, when combined with around 2.1 inch longer front end and around 0.5 inches extra on each side. As we mentioned earlier in our article Mercedes Benz C63 AMG 2015 replaces its traditional V6 and now comes with a 4.0 Liter V8 engine and that too offering two trims; C63 AMG and C63 S AMG. While the former delivers 476 hp and 650 nm torque latter churns 510 hp and 700 nm torque. Though there isn’t any difference in the top speed of both these variants as it touches a 155 mph mark, acceleration brings a minute difference. 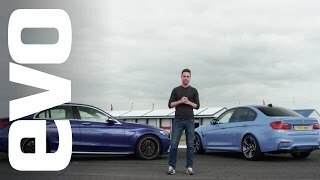 C63 AMG covers 0-62mph in 4.1 seconds while the C63 S AMG touches the same in 4.0 seconds.